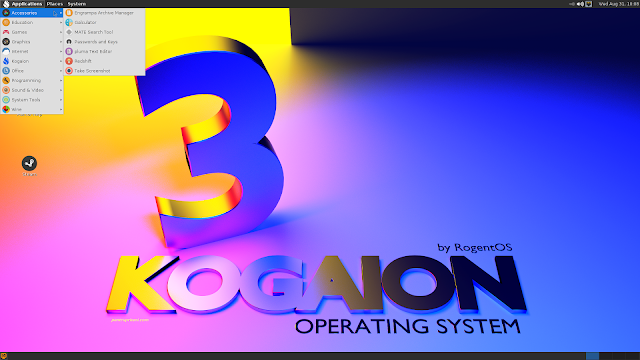 "MATE environment on Kogaion Desktop 3 operating system". There are also, other 3 presentations that have been made in romanian language. You can use or play, applications running under Windows.